Grooms and groomsmen always seem to get the short end of the stick when it comes to wedding portraits. 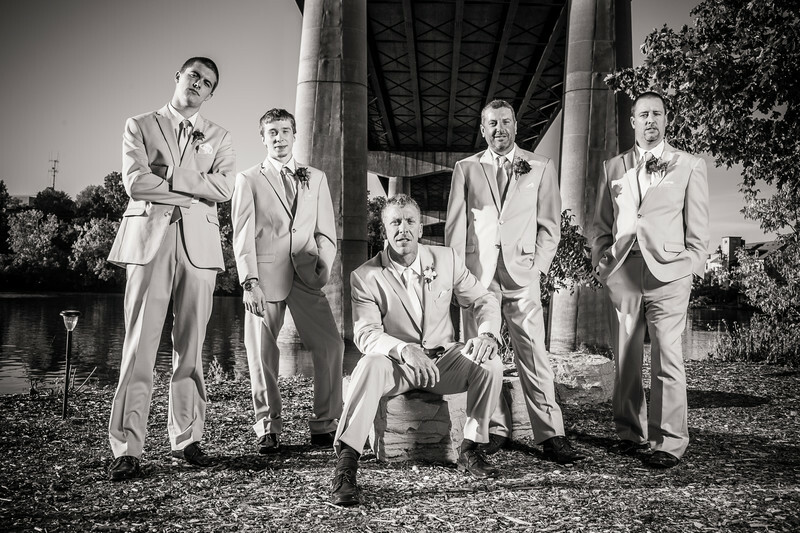 For this casual group portrait at Pullmans in Appleton I positioned the guys under a larger bridge. I had the groom sit on a rock and the rest of the guys naturally surrounded them. I lit them up with a light and used the sun as an accent light. 1/200; f/8.0; ISO 100; 35.0 mm.